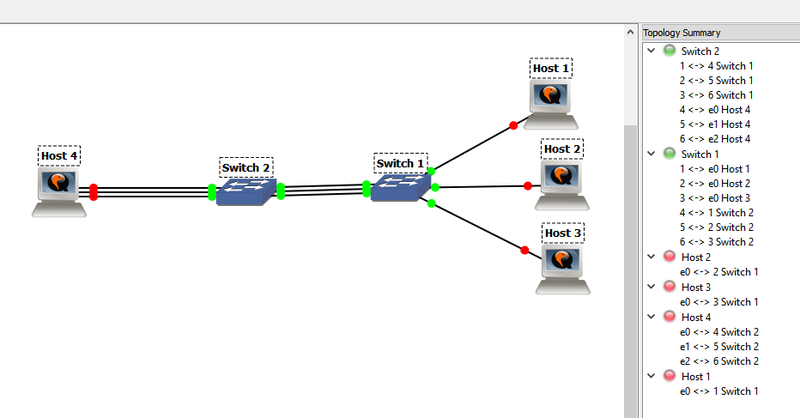 I have to implement flows between on the network such that all hosts are reachable from one another. Furthermore, I'd like to use all three links between Switch 1 and Switch 2. What I'd like to know is how do I get load balancing going in this topology? I've read many threads that tell ask us to get the topology but how do you get the topology and how do you implement the logic for the hosts to talk to one another? Any pointers would be of huge help!